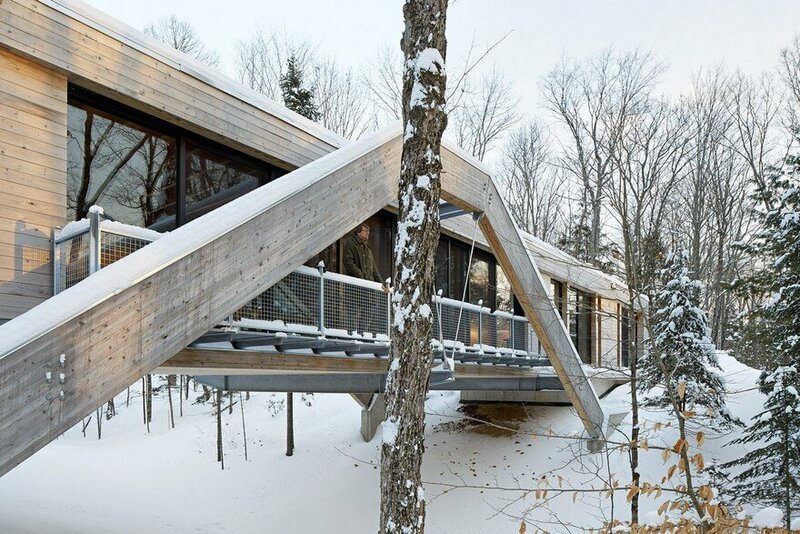 This project was developed from an intensive research and understanding of its site, and directly responds to its placement in the heart of the Great lakes St Lawrence Forest. 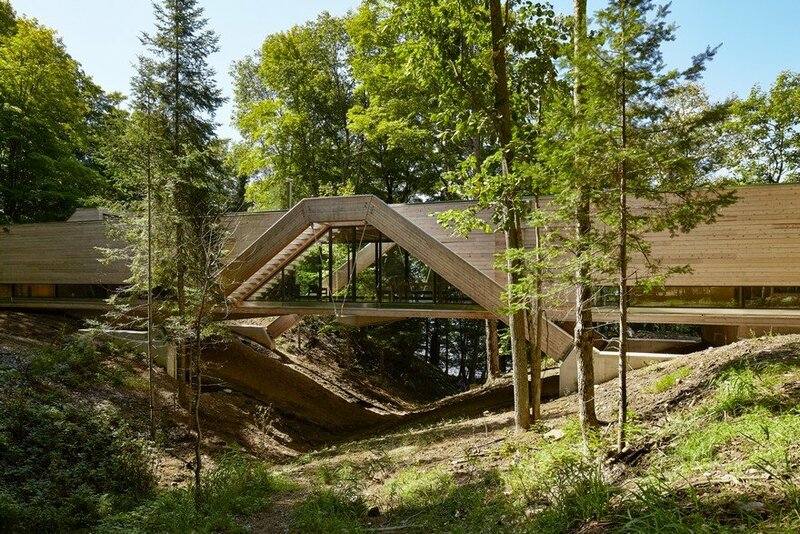 It is as much a project of landscape or land art as one of architecture. 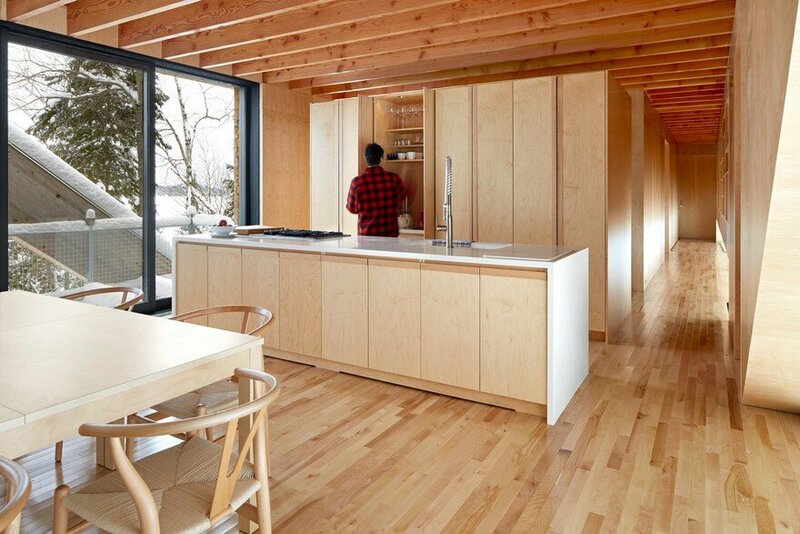 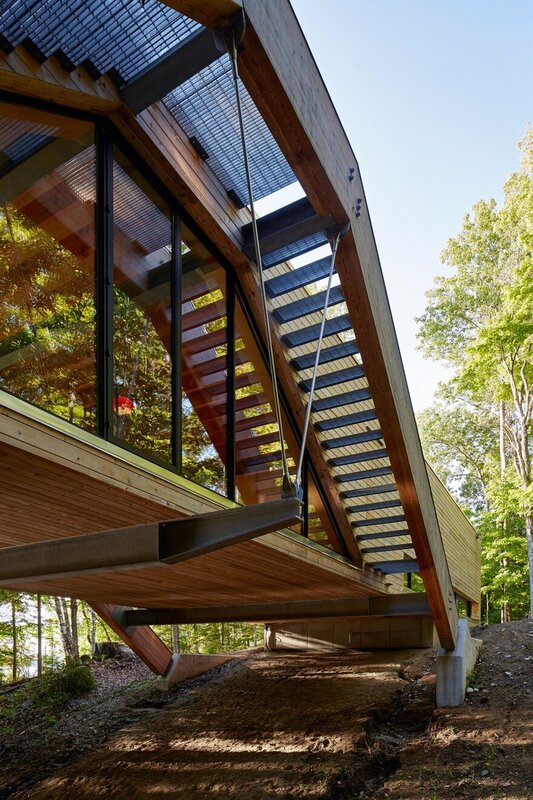 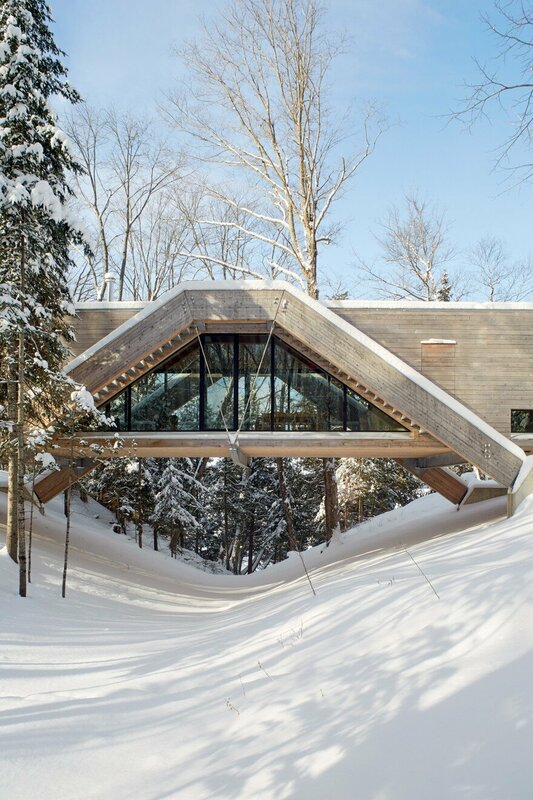 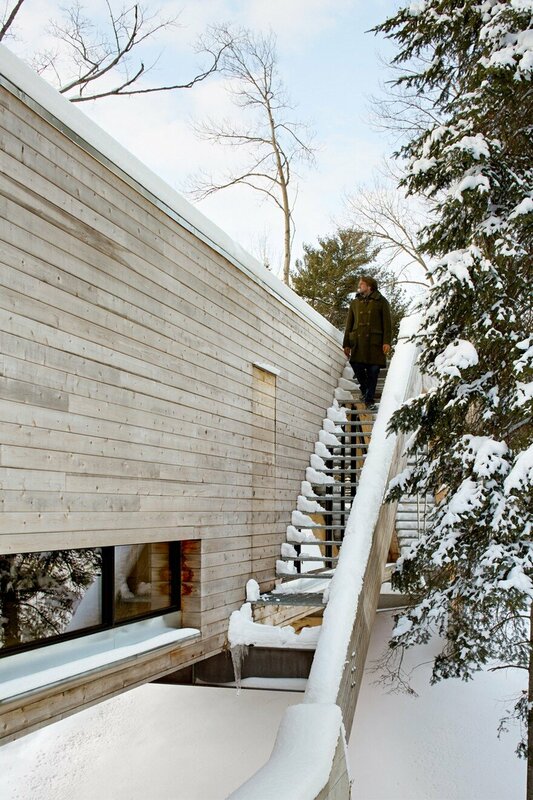 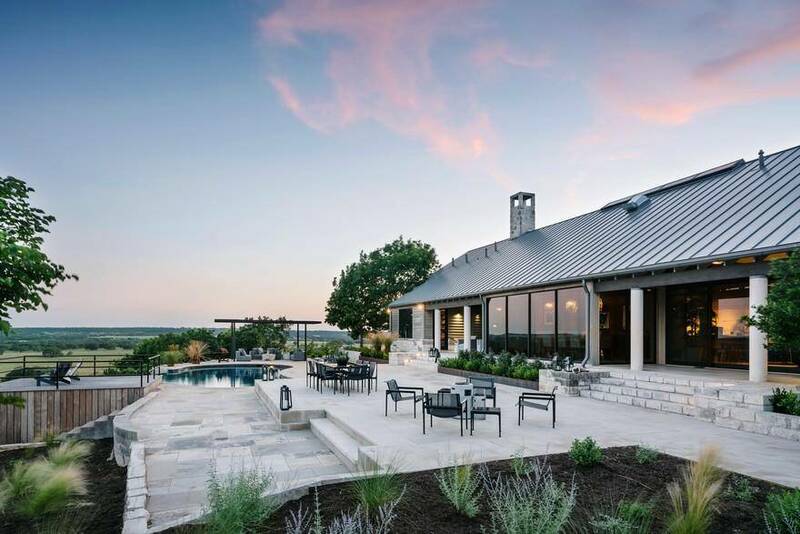 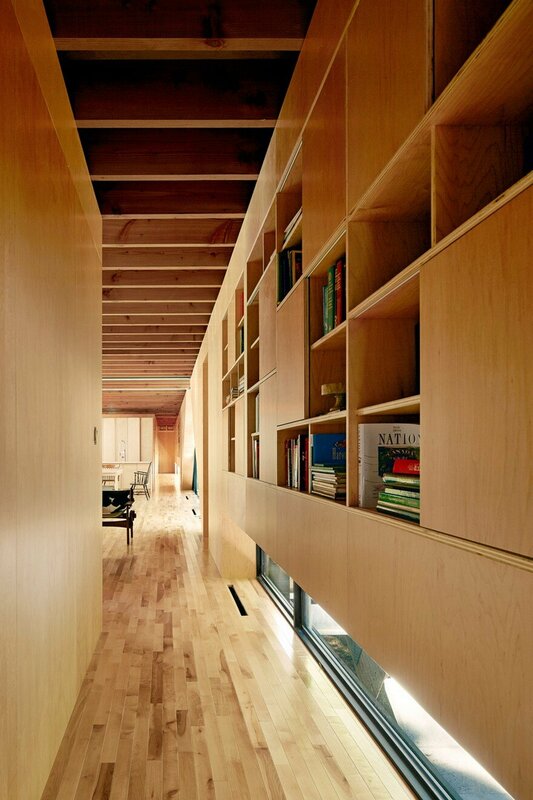 The horizontal line of the house punctuates the topography of the ravine over which it sits. 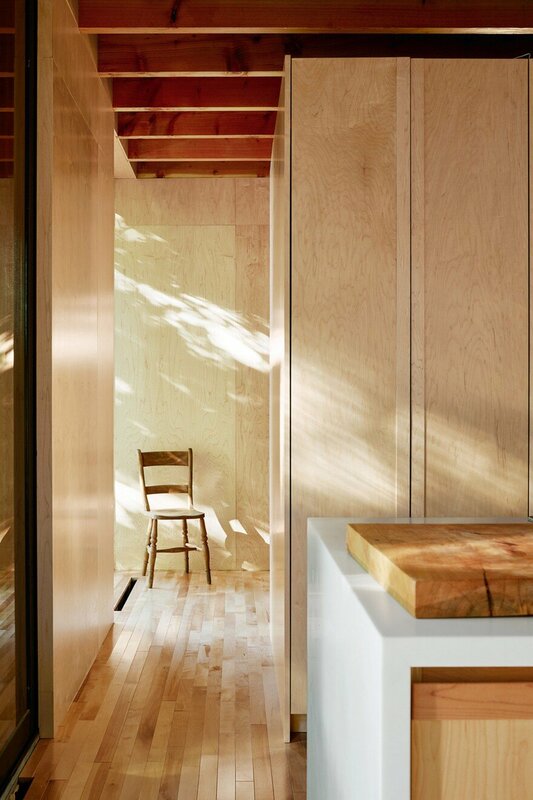 The Puente house is designed and will be built as a piece of furniture, out of cedar, a local material widely used for structural properties and rot resistance. 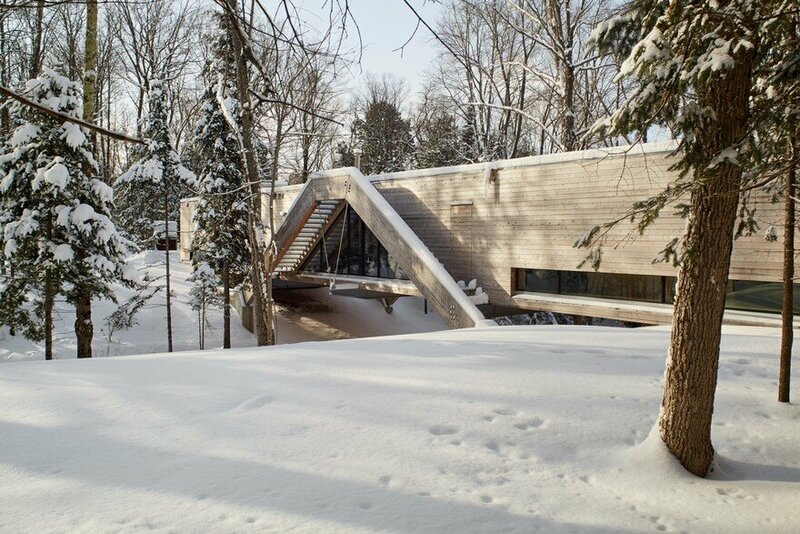 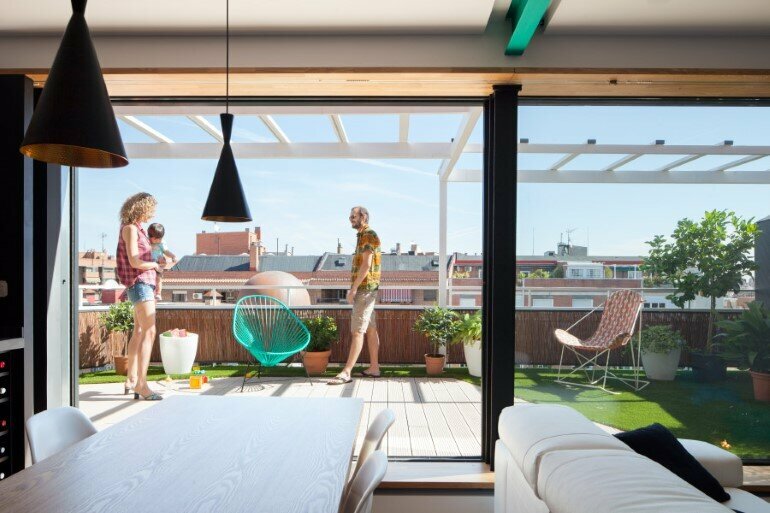 Conceived as a horizontal line to counterpoint its setting atop a ravine, the 2,400 square foot Puente house is both a dwelling and an object that compliments and emphasizes the natural condition of its territory. 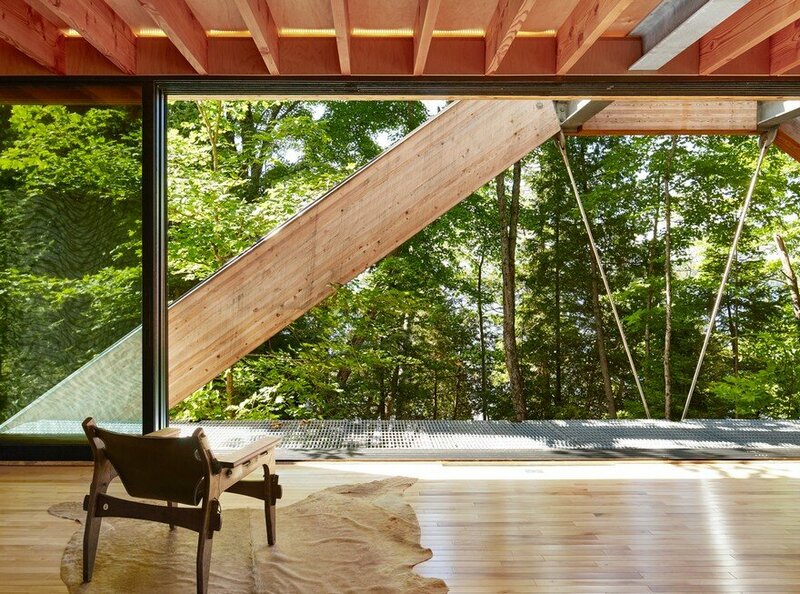 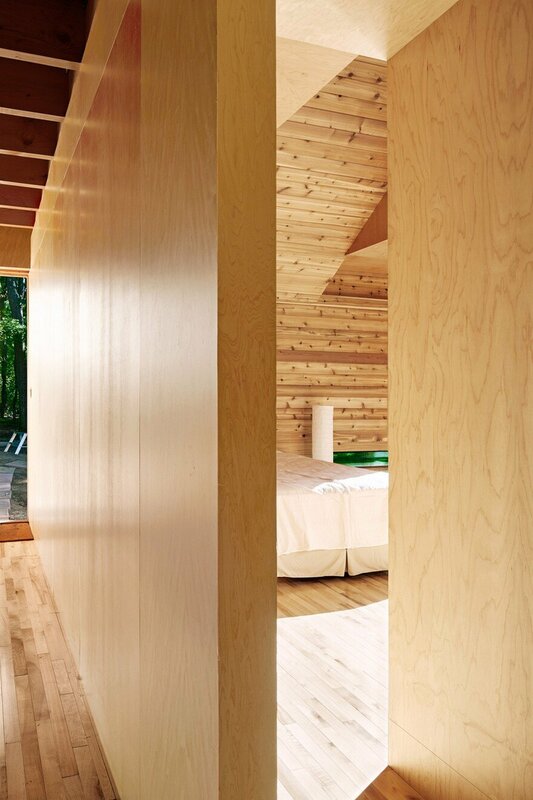 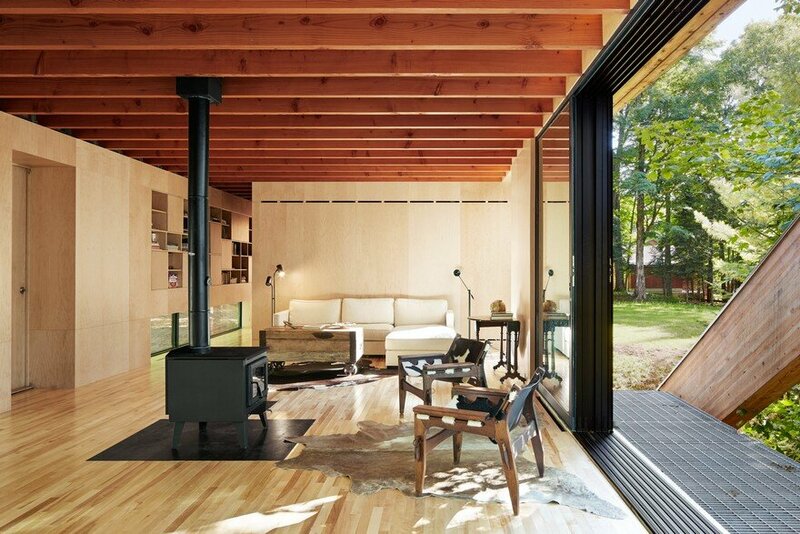 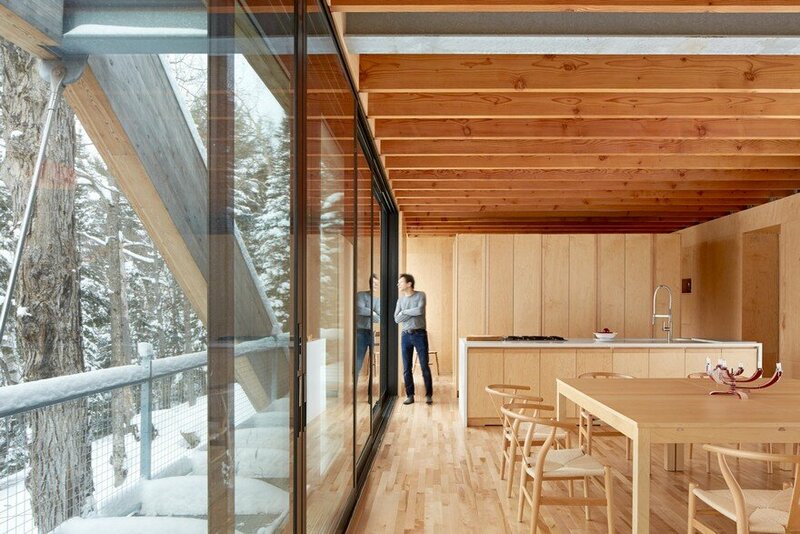 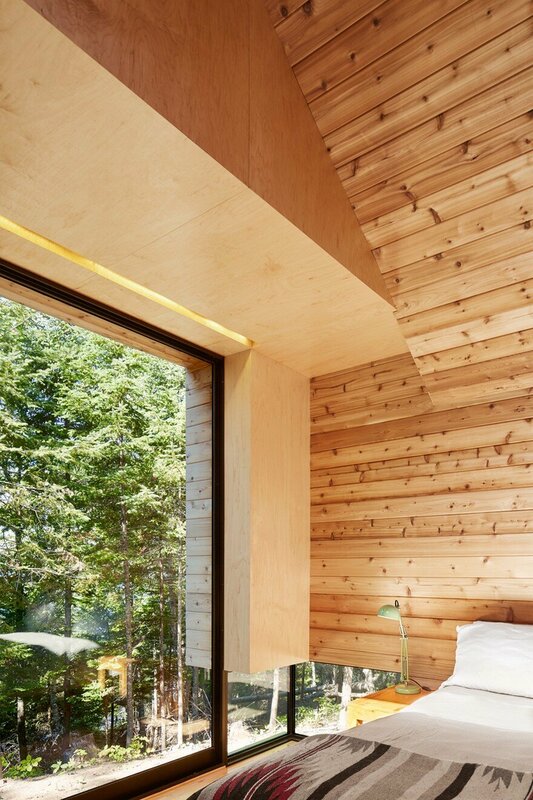 At the centre of the cottage, the open plan living room is suspended 5m above the ravine, acting as a viewing gallery for the forest and neighbouring lake. 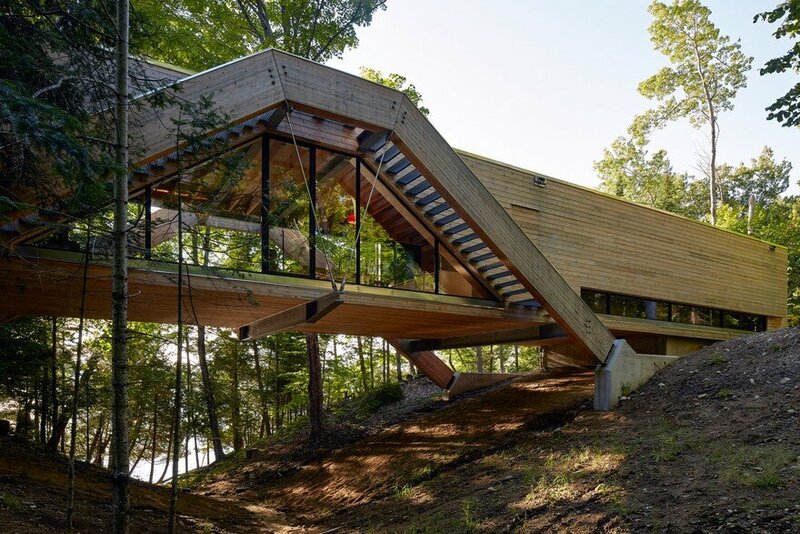 This condition places the user in the middle of the forest’s canopy allowing one changing vertical perspectives of the landscape as they pass from one side to the other. 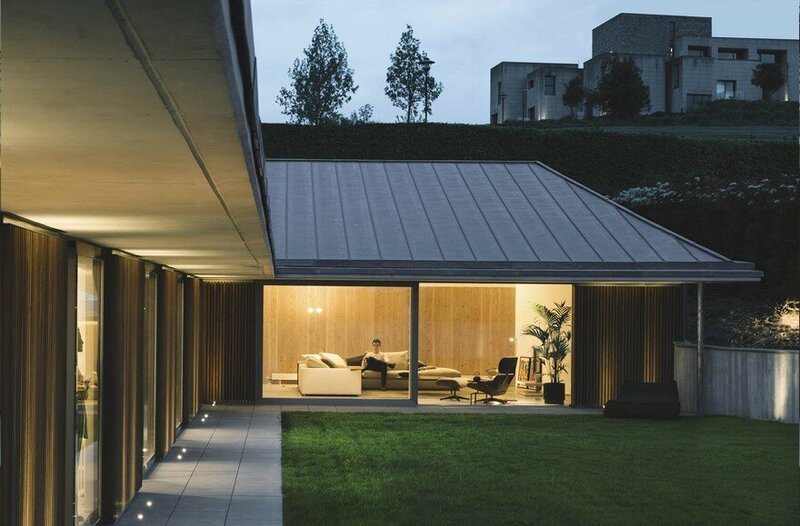 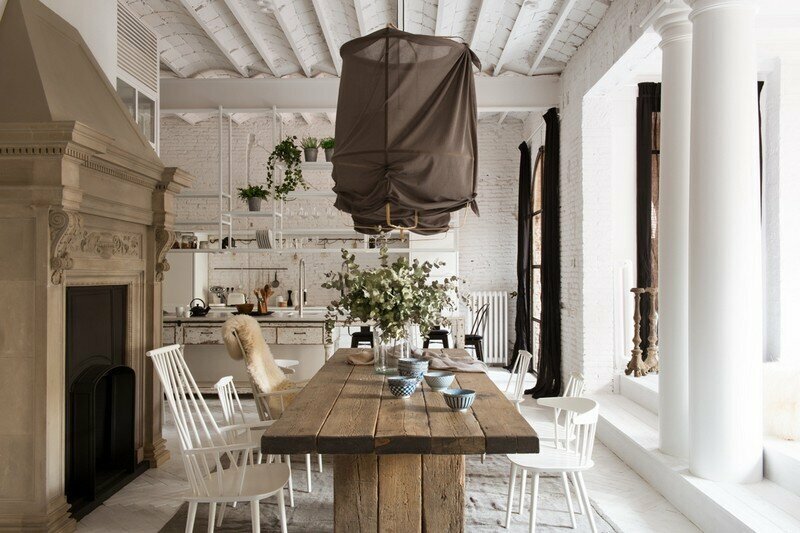 Unlike a traditional house, the Puente house has a bottom, or a fifth façade. 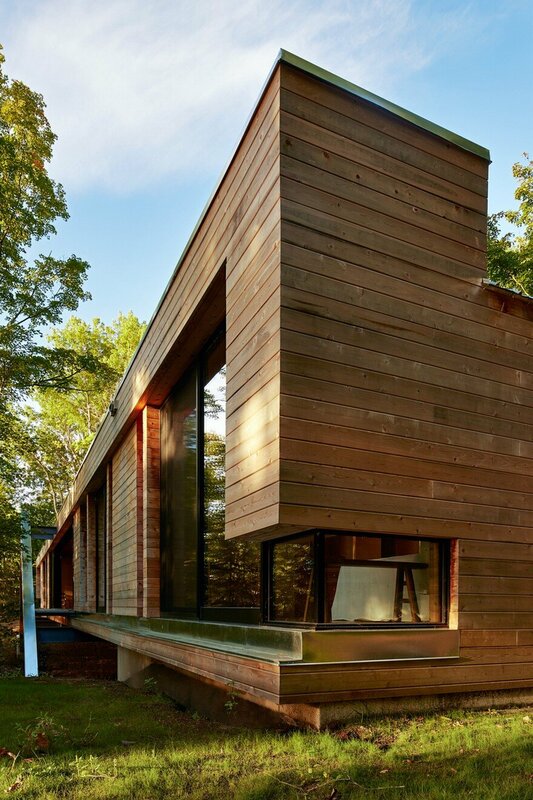 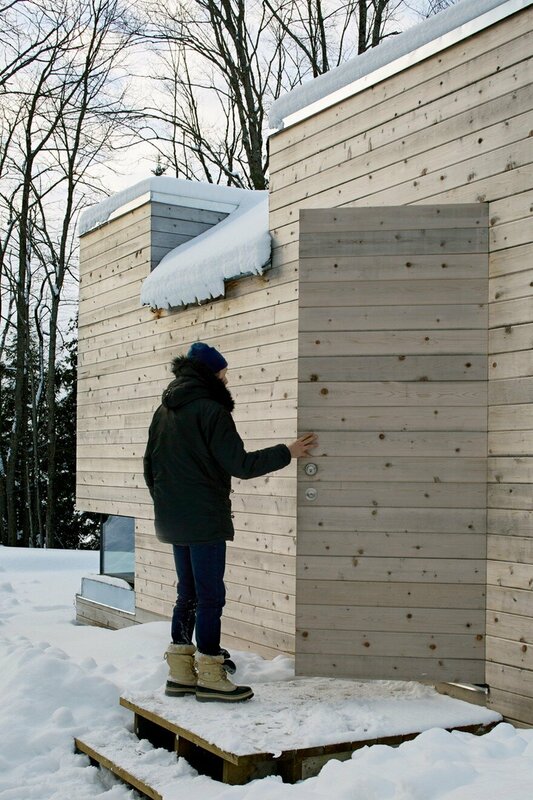 This, along with the exterior walls, is clad in unstained cedar intentionally left to weather naturally. 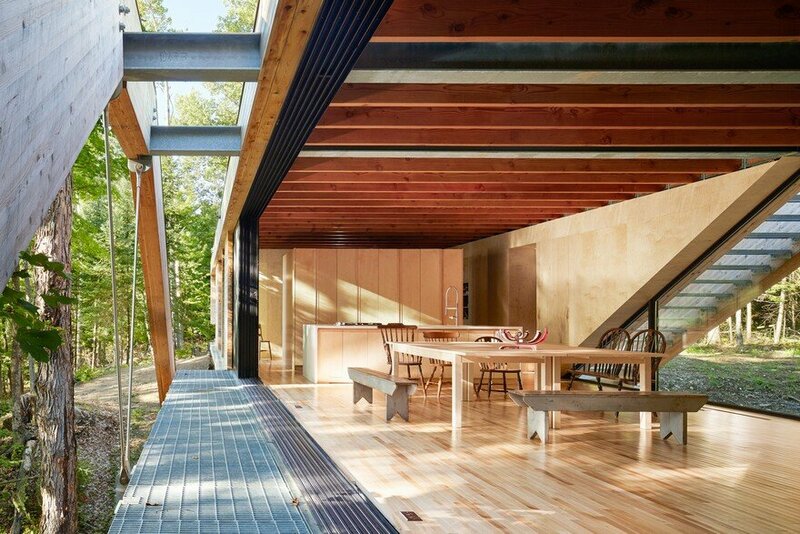 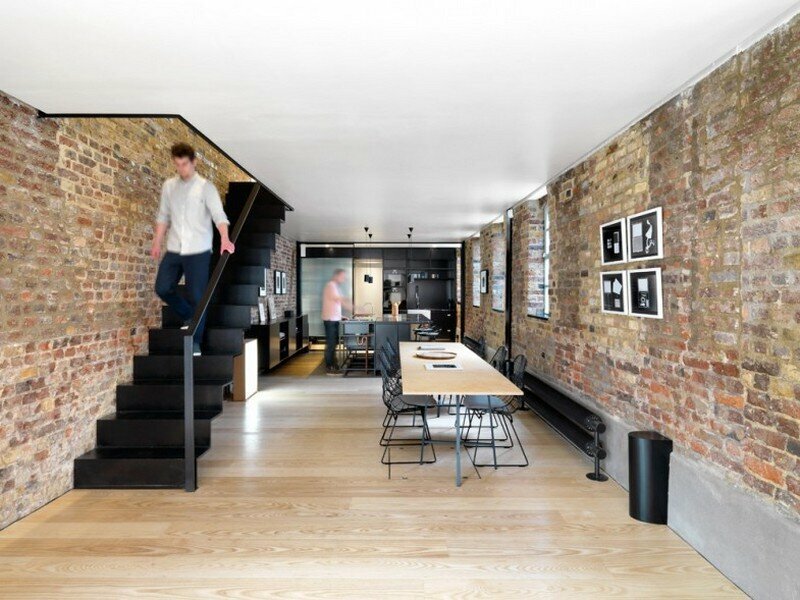 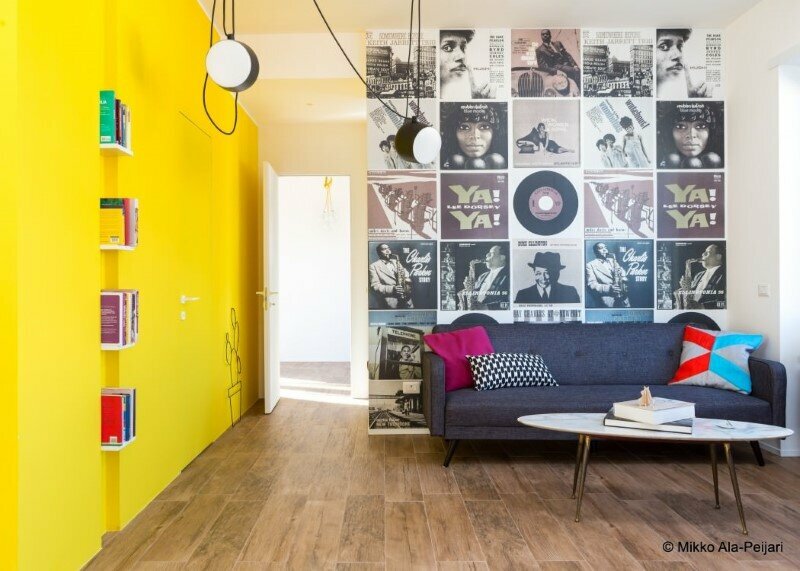 This celebrates the resiliency of the material, giving the house a dynamic character, designed to change.